The MCBA is proud to have such wonderful members! The “100% Club” is a special recognition within the MCBA reflecting our members’ commitment to the advancement of the legal profession while enhancing the community. To become a member of the “100% Club”, every attorney in your office must be a member of the MCBA. Law Office of Andrea M. Johnson, P.A. Affordable Attorney, Gerling Law Group, Chrtd. 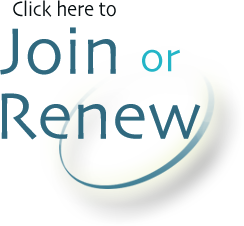 The MCBA’s “100% Club” is open to renewal each year, as it does not automatically renew due to changes in firm rosters from year to year. Firms must renew each year to participate. To become a member of the “100% Club” for the 2018-19 year, please submit your request via email to Executive Director, Graceann Frederico at MCBA@ManateeBar.com no later than, September 30, 2018. Include a listing of all attorneys in your firm. Once the names are verified as active members of the MCBA, and approved, your firm will be added to the MCBA 2018-19 “100% Club” listings. Firm must re-apply each year and will not automatically be renewed.